Realizing move to sue Israel may boomerang, PLO begins legal defense prep, announces 'war crimes' suit submission against Israel on June 25. 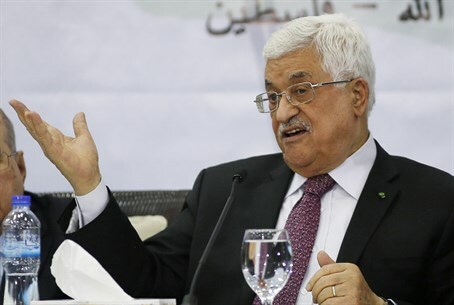 The Palestine Liberation Organization (PLO) terrorist group's Palestinian National Council (PNC), tasked with managing ties with the International Criminal Court (ICC), is preparing to deal with lawsuits against Palestinian Arabs submitted by Israel at the ICC. On April 1 the Palestinian Authority (PA) joined the ICC in The Hague in breach of the 1993 Oslo Accords which formed the PA, seeking to use the court to attack Israel and accuse it of "war crimes" - however, the move also opened up the PA and those living under it to lawsuits at the court, such as terrorists of the leading Fatah faction who fired rockets at Israeli citizens in Hamas's terror war last summer. PNC member Mustafa Barghouti said that the Council's technical and professional groups have been ordered to do all they can to provide legal defense to every Palestinian Arab who is sued at the ICC. The PLO has good reason to do so; Israeli NGO Shurat HaDin (Israel Law Center) last year submitted lawsuits against Hamas and PA leaders for war crimes committed during Operation Protective Edge, including Hamas politburo chief Khaled Mashaal, PLO unity government Prime Minister Rami Hamdallah, and senior Fatah members Jibril Rajoub and Majid Faraj. Barghouti added that the "state of Palestine" will on June 25 submit lawsuits against Israel for the "war crimes" of establishing Jewish communities in Judea and Samaria and for its last counter-terror operation against Gaza terrorists. In July, an ICC delegation is to visit the PA-ruled territories as part of the lawsuit. Despite the claims of "settlements," the 2012 Levy Report proved that Israel's presence in Judea and Samaria is completely legal under international law. Likewise the IDF has conducted a thorough legal review of all complaints submitted against soldiers in last summer's war. According to the PNC member the legal battle against Israel will consist of two stages, with the first involving submitting documents meant to convince the ICC to launch an investigation of "war crimes." In the second stage, he said that the allegations of Palestinian Arabs claiming to have testimony against Israel will be submitted in detail to the court.